Andiamo is one of the first words I learnt in Italian. It means, "let's go!". It's also a word I use every day - many times a day. It's something I say a lot to my little boy when we're leaving the house, getting out of the car, leaving day care. It's a precious but fun family favourite. 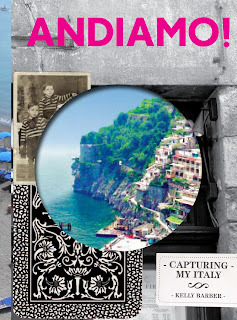 And so I was so excited when I saw a book called Andiamo when I visited Ariel bookshop in Paddington not too long ago. 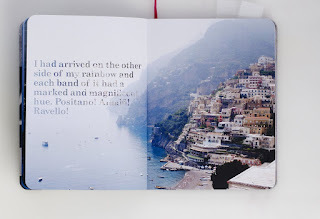 Of course the book was about Italy - but it was about my favourite part of Italy - the Amalfi Coast. The photography was dreamy too. I had to have that book! And so I also featured it in the July issue of real living. Which five words best describe you? Eclectic, Independent, Determined, Impatient, Creative. What was your first job and what path have you taken since then? Junior Art Director in Advertising. My own. What’s your proudest achievement? Creating a successful business from one-off books. What’s been your best decision? To cut my own path creatively. Who inspires you? Real artists and filmmakers that change the way I look at something. What are you passionate about? 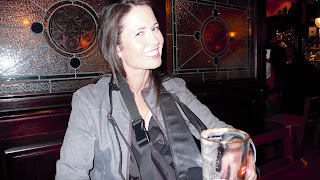 Photography, communication and connection. What’s the best lesson you’ve learnt? No risk, no return. What dream do you still want to fulfil? Love & family. What are you reading? Beautiful Antonio, Vitaliano Brancati and Annie Liebovitz at Work. This book looks so beautiful. I'll look out for it! It's a great one just to look at and dream. Thanks for bringing my attention to this book. I'll look out to see if it's available in Positano. I love it when others share my love for the place!